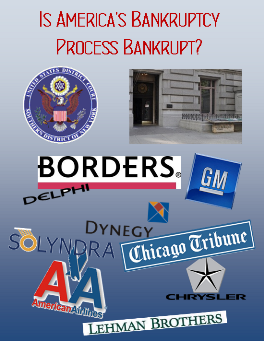 My investigation into the Delphi Salaried Pension Scandal, one of the “not optimal” results of the bankruptcies of General Motors and auto parts manufacturer Delphi, turned out to be the tip of an iceberg of a system that is abusing American citizens while it serves a President bent on redistributing wealth. After my investigation in Washington, D.C. and my visit to the Southern District of New York Bankruptcy Courts in New York City, I learned there would be a conference of our nation’s bankruptcy judges in San Diego. What I learned there was very eye opening. 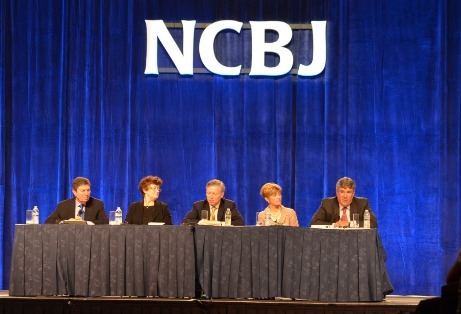 The conference was the National Conference of Bankruptcy Judges. The conference also included a hearing of the American Bankruptcy Institute’s Bankruptcy Reform Commission. The combination of this brought out a huge gathering of these judges, bankruptcy trustees and lawyers. What an inquisitive writer might call “a target rich environment”. Upon my arrival, I receive my media credentials and began to walk around and listen to people talking about bankruptcy and the processes. With over one hundred fifty federal judges in attendance, security was very high – provided by the dedicated members of the U.S. Marshall’s Service and several highly trained explosives dogs. As I was walking, listening and interacting with some of the attendees, I began hearing certain phrases describing the bankruptcy processes and the urgency of their proceedings. Terms like “melting ice cubes” and “fish rotting on the dock” were commonly used to create a perception that if action is not taken urgently, the value of the assets will simply melt away. Another phrase I heard quite frequently and openly was the “fox is guarding the henhouse” referring to a uniquely American practice of what is called “debtor in possession”. This is where the management of the bankrupt company is left in charge of the company and its assets during the bankruptcy process rather than turning over the company to a bankruptcy trustee. I spoke with a couple of European bankruptcy court judges about our debtor in possession processes. This is an option they do not have in Europe, for the most part. The judges I spoke with were somewhat skeptical of the system, but at the same time, were also very envious of the way this speeds up the process. On the good side, it is a process designed to “rehabilitate” a company that has become insolvent and protect as many jobs as possible through a debt restructuring program. On the not-so-good side, it interferes with the Darwinism of business life cycles. After speaking with the attendees, including many judges, I also question the “melting ice cube” theory. I understand the value of the company is melting away as the company heads into bankruptcy, but once the company enters into bankruptcy, aren’t the assets then protected? But then, I also learned that during the process in what is called a 363 sale, many of the company’s assets are deliberately undervalued and sold out of the company to investment bankers who then realize an outrageous profit the instant the company comes out of bankruptcy and the assets values return to their real, much higher, values. This is somewhat akin to the wolves watching the foxes guarding the henhouse who then rob the foxes of the best chickens as he hauls them out. The speed of these bankruptcies is outrageously fast. 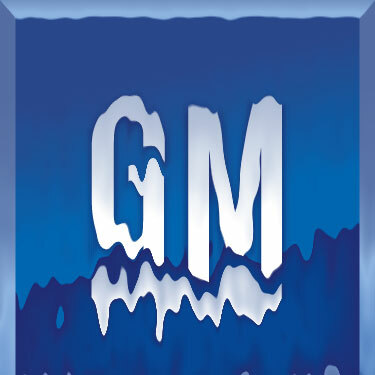 General Motors was in and out of bankruptcy in 44 days. Chrysler was less that that at 41 days. One would have to ask, how can a judge maintain proper oversight over a process that is as big as General Motors but moving as fast as a Mach 3 jet? Perhaps, as in the case of GM, it can’t. As we look back on the GM case ruled on by Judge Gerber we are beginning to see many things that were missed. I had the opportunity to speak directly with Judge Robert Gerber, GM Bankruptcy, and Judge Robert Drain, Delphi Bankruptcy. These conversations were quite revealing and I will discuss these in Part 3 of this story. Chapter 11 Bankruptcy - A License to Steal? Or Redistribute Wealth? Related law reference reading on Bankruptcy Law Review.